About us | "Our Business is Minding Yours"
Whatever your situation, we will guide you through the process to get the best and most cost-effective solution for you, your family and your business. 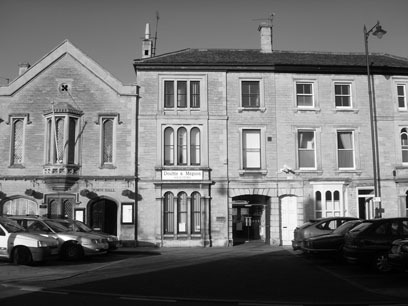 Double & Megson Solicitors was set up by Paul Double and John Megson in 1978 in the centre of both Bourne and Market Deeping and had expanded to include five partners (down to 2 now with the retirement of some of the partners) and a wealth of solicitors and secretarial staff. The firm has provided legal services to generations of clients who return for the breadth of knowledge and personal attention that is always available. Mr Double and Mr Megson began working together in 1963 at a Peterborough firm with offices in Market Deeping and, from 1973, in Bourne. 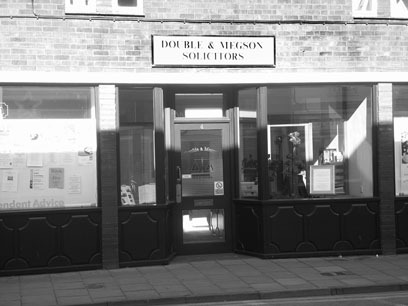 Double & Megson was formed on the 1st July 1978 when the two took over their former practices. David Scotney began working for the firm at its inception in 1978 and became a partner at the Market Deeping branch in 1981. Shanta Shah, based in Market Deeping, and Richard Wood, based in Bourne, became partners in 2001. Paul Double retired from the firm in June 2009. John Megson and David Scotney both retired from the firm in June 2016. The law profession has changed greatly since Double and Megson began practising nearly 40 years ago, with smaller rural businesses tending to lose out to larger urban conglomerations. However, the firm believes its continuing success is down to the personal attention which it has provided over the years. The future of the firm looks to be in good hands and the partners hope to serve the people of the two towns and the surrounding area for many years to come. Click here for our Diversity and Equality overview.